The Oliver & District Heritage Society has some new and returning faces this year in its new Executive Director and Curator. With the help of some solar panels and a new furnace and air conditioner, the Archives is saving energy and preserving its documents and resources for the future. We're hiring our 2018 summer Heritage Assistants! Apply today. Who: ANYONE can attend, but you must be a member in good standing to vote. Fall 2017 Lamplighter is available here! The first thing to know is that the Archives can be thought of in four distinctive sections: the Research Room, office/work Spaces, and Collection Quarantine, and the "Vault". You are probably most familiar with the Research Room - this is the place where researchers come and browse our Family History Files, Subject Files, and our extensive Research Library of local materials. It's the public 'front' of the Archives. Then there's workspaces of course, where staff, volunteers, and the public have desks, large tables and counter space to work on. 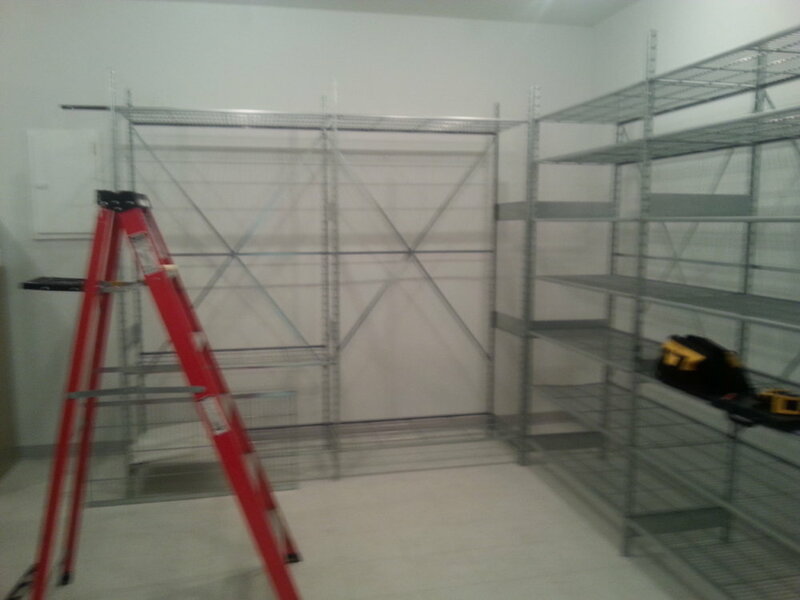 There's also the quarantine area, where we freeze and clean incoming items before they are added to the collection. 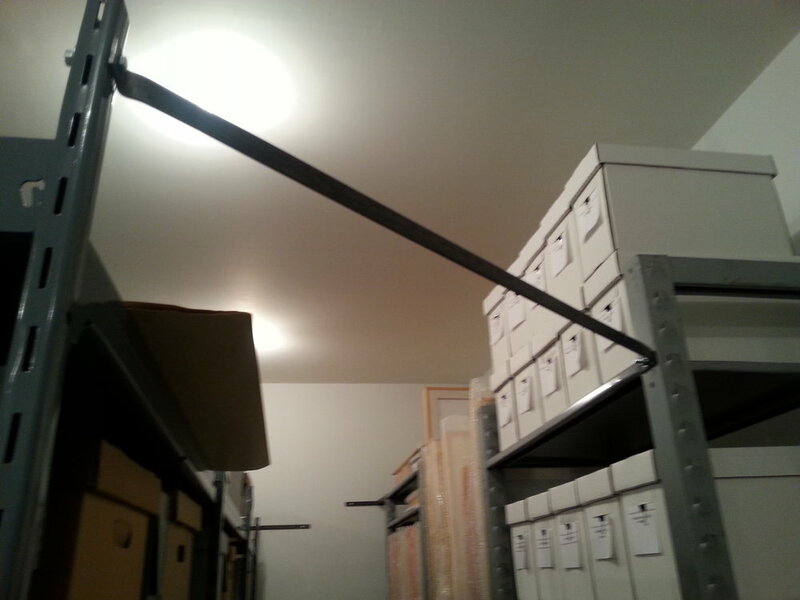 You may not, however, have ever seen the back room of the Archives where we house all of the unpublished items in the archives collection: one-of-a-kind photographs, maps, diagrams, diaries, personal collections of documents, and so much more. We call it "The Vault". It's a pretty amazing place. You can access items in the vault on request if you're doing research. The Vault is also where we house the backlog of donated items that are awaiting processing as they are added to the collection. 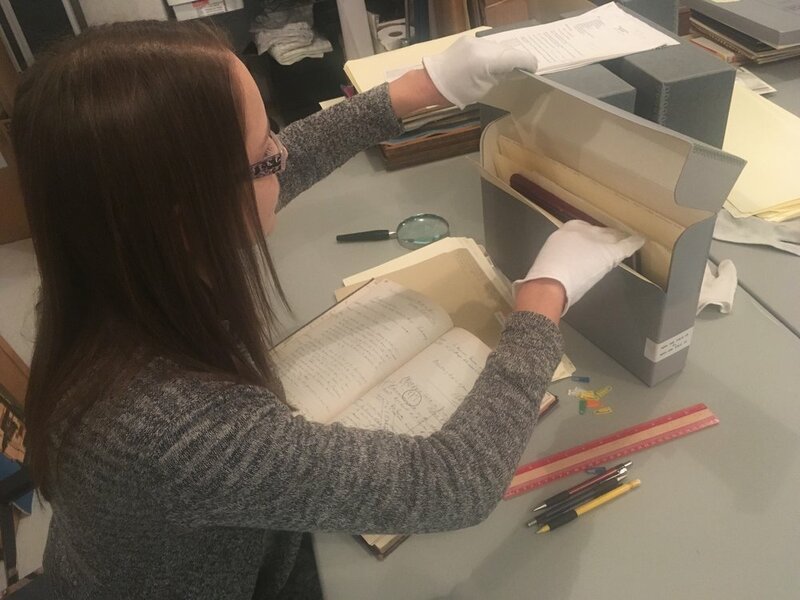 We are pleased to announce that we received a grant from Library and Archives Canada to hire two archivists to deal with our backlog of donated archival materials. Since that time, they've been busy, busy, busy getting the Vault and the backlog into good order. It's been 5 months since the project started, see what we've been up to! Painstakingly removing staples, paperclips, and other metallic objects. Metal staples are replaced with plastic archive-quality clips. Literally floor to ceiling scrubbing and disinfection. 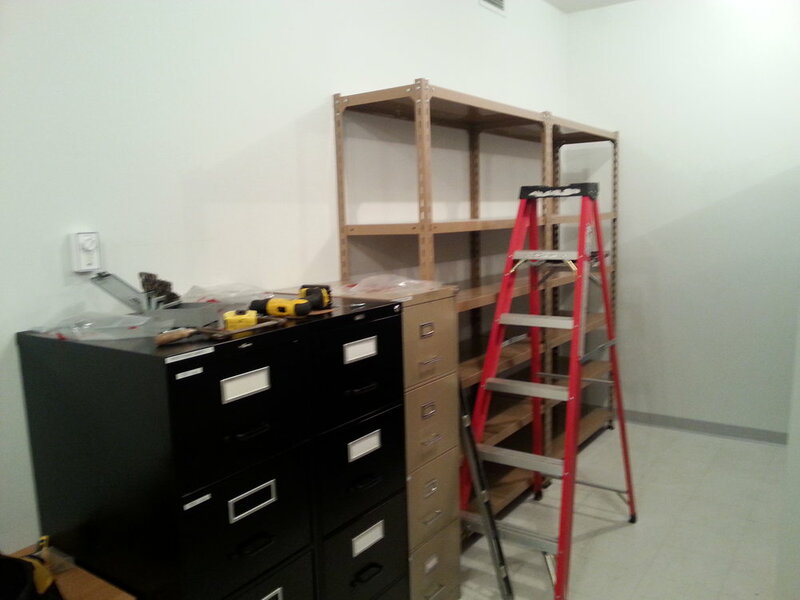 Note that the shelves are right up against the walls in this photo - Not for long! 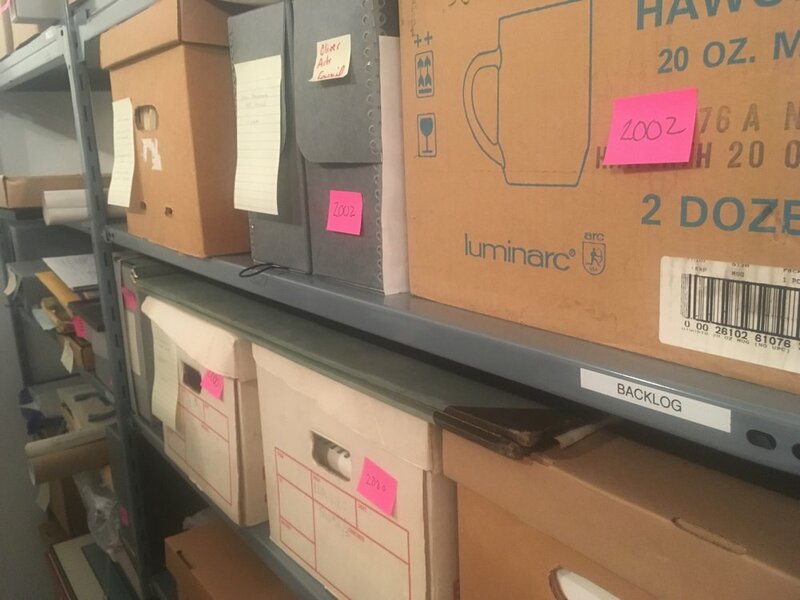 Many of our Vault backlogged materials were inadequately housed: vertically, in regular cardboard boxes, on the floor, stacked too high, or rolled too tightly. We've taken steps to alleviate most of these issues by rehousing items according to archives standards whenever possible. We moved out many items from the vault that didn't need to be stored there (ladders, office equipment, etc), to make room for new shelves. We purchased these very sturdy shelves from Target in Kelowna when they closed doors some time ago. 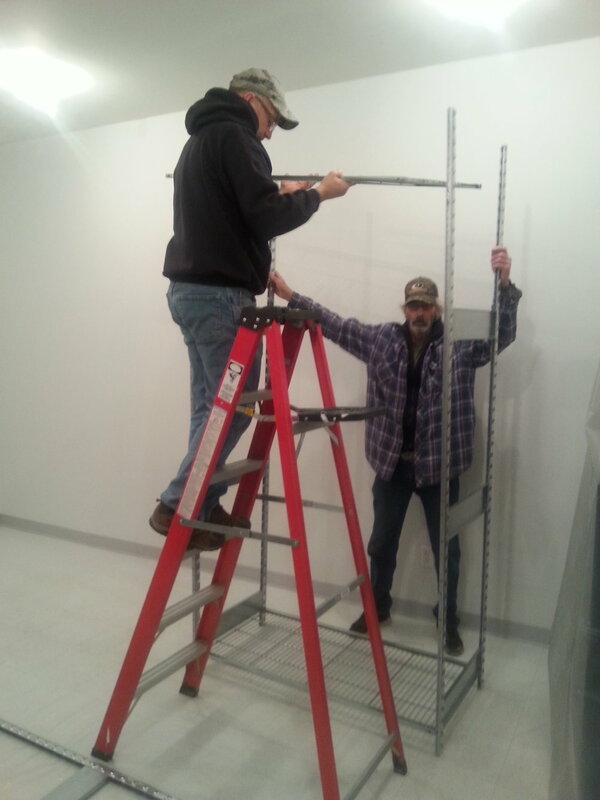 As part of our disaster preparedness plan, we are securing all shelving to the walls (in case of earthquakes), with an 8-inch gap between the walls at the shelves themselves (in case of roof leakage, or fire). 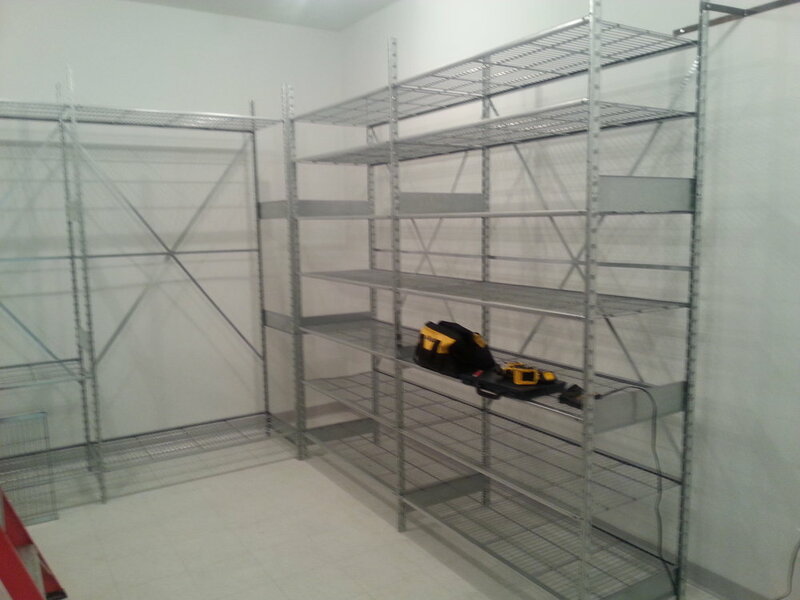 The lowest shelves are at least 6 inches off the ground (in case of floods). We're ready for you, mother nature! Note that everything is at least 6" off the ground and 8" away from exterior walls, to protect against roof leaks and small floods. There's a lot of shuffling of materials that takes place when improving shelving! 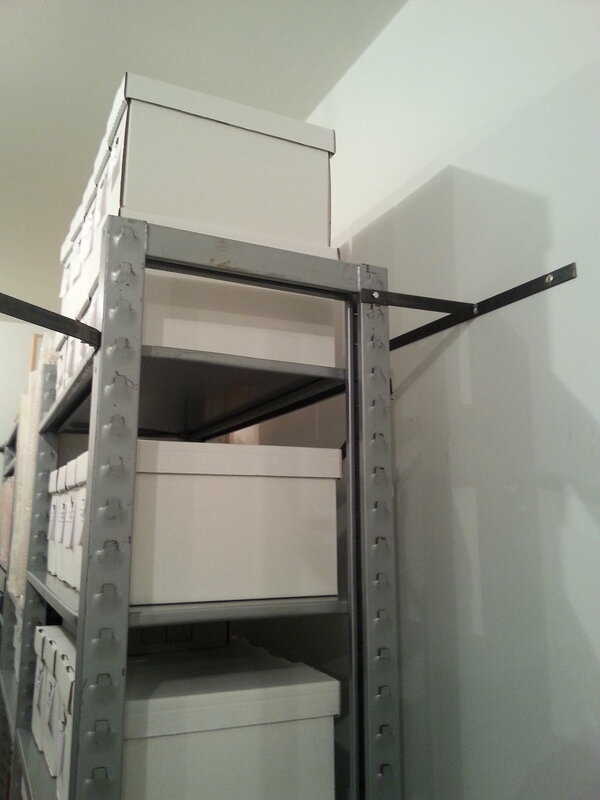 Shelves with free-standing ends are bolted together, increasing their stability and preventing lateral movement. Shelves on exterior walls are now situated 8" off the wall, in case water were to ever find it's way through the roof and drip down. Shelves on interior walls that do not contain plumbing get bolted directly to the wall. 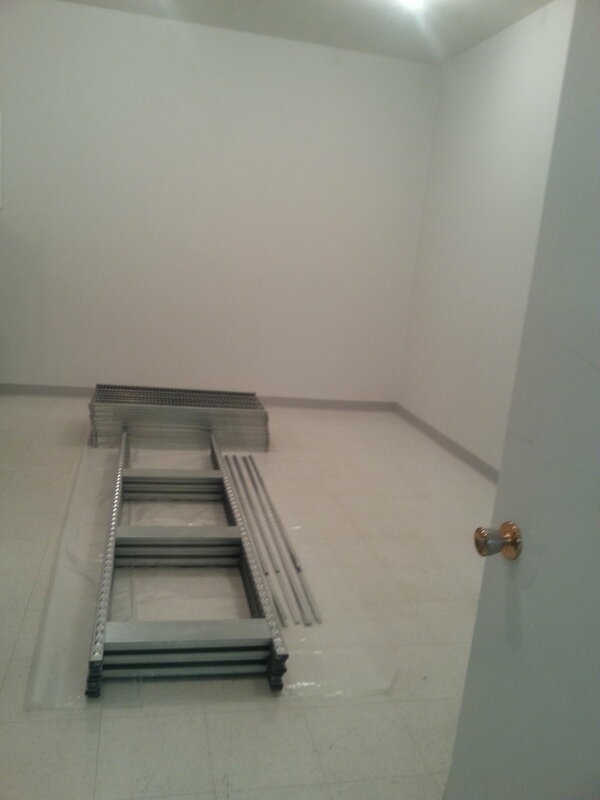 We've still got a ways to go, but we'll continue to post updates of our progress. Thanks for following!